NASA has taken the wraps off a 3.2-gigapixel "Global Selfie" that was built from 36,422 images shared on social media one month ago, for Earth Day. The space agency says more than 50,000 pictures from 113 countries and regions around the world were posted on or around April 22, using the #globalselfie hashtag on Twitter, Instagram, Facebook, Google+ and Flickr. 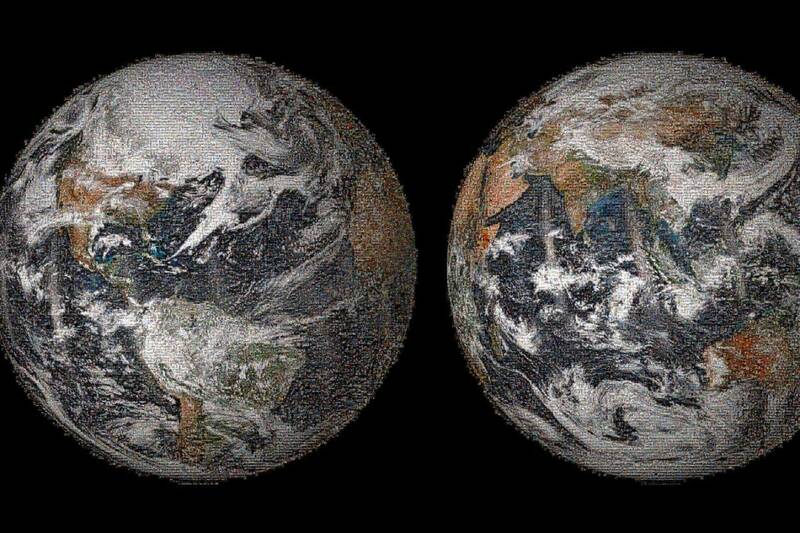 Those pictures were curated and processed to blend into two hemispheres' worth of Earth Day imagery from the Visible Infrared Imaging Radiometer Suite on the Suomi NPP satellite. A full-resolution version of the Global Selfie is hosted on the Web by GigaPan, and if you zoom in far enough, you can look into the smiling faces of all the folks who contributed to the planetary picture. Want to see another world-spanning selfie? Check out last year's "Wave at Saturn" mosaic.